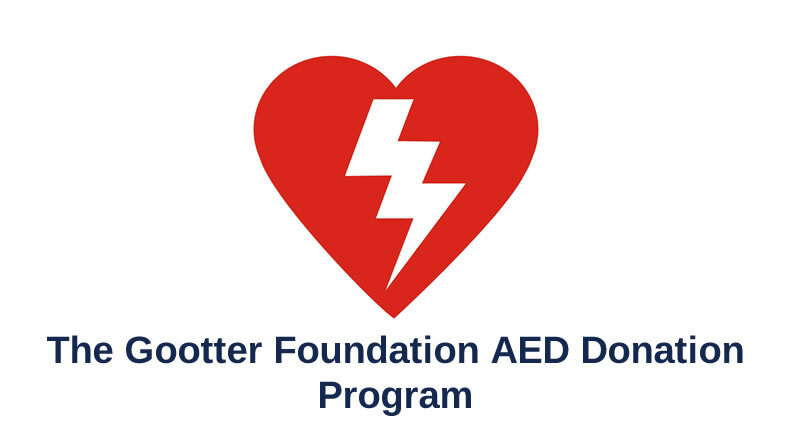 The long range goal of the Gootter Foundation and the Sarver Heart Center is to make sure that all places where people work, worship and play will have an Automated External Defibrillator (AED) in case it is ever needed. To that end, we are working hard at raising money so that we can continue to pursue this mission. For more information on how you can apply for an AED, please click here.